In a year from now, it will be the 10-year anniversary that Honda has stopped production of the S2000. However, this is a car that has a community that refuses to let it go quietly into the night. Check out the latest aftermarket offering by Tamon Design inside. 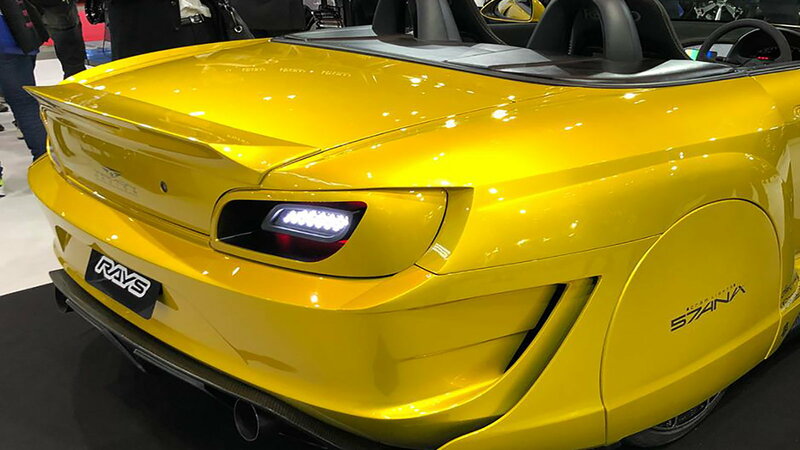 At the Tokyo Auto Show over the weekend this widebody S2000 aero kit swathed in all gold paint made its debut. 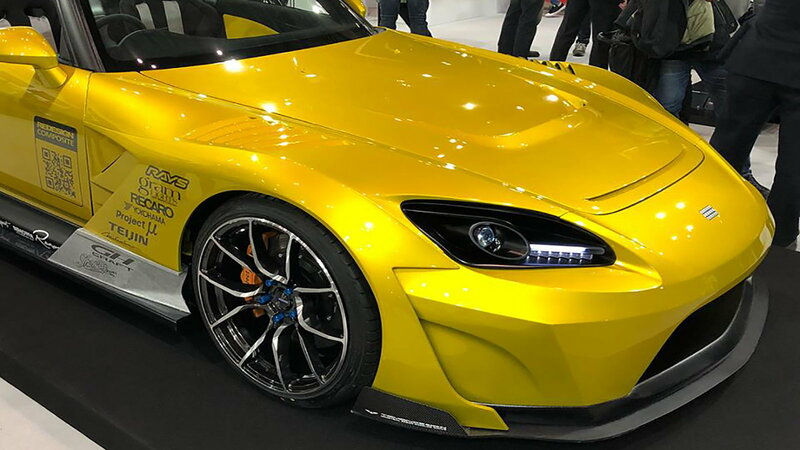 Tamon Design has a history of making parts and components for the S2000 such as their TDC-047 aero kit that was released almost ten years ago. >>Join the conversation about the Black Mamba S2000 right here in S2Ki.com. 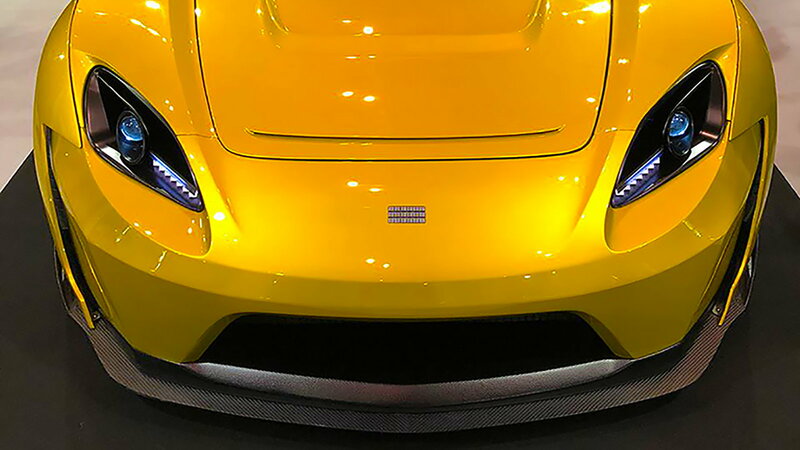 The front of the kit features a nose that is one part street racer with extractors on the front wings and changes to the sides of the apron. Also, there is a new vented front hood to allow everything in the engine bay to cool off nicely. 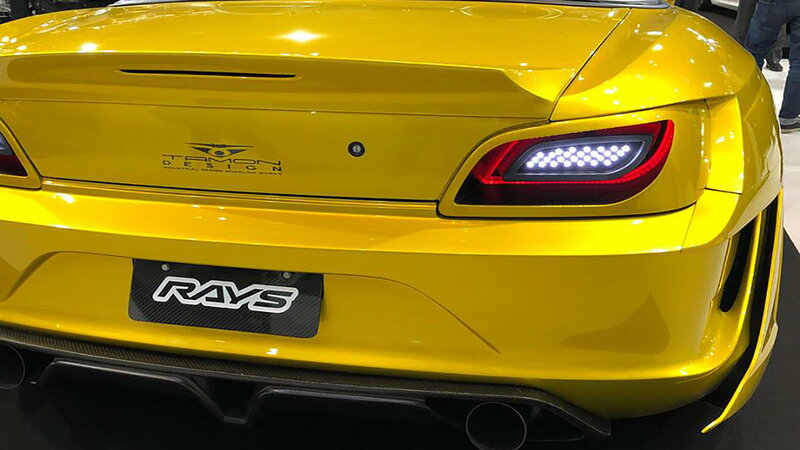 The sides of the kit continue on in the theme of cutting through the air as efficiently as possible with covered rear wheels and a low hanging side skirt. On the rear of the modern classic, the trunk lid spoiler and rear of the car sit over understated exhaust pipes that are a breath of fresh air in a marketplace full of ostentatious pieces. Tamon Designs doesn't mess around when it comes to modifying vehicles and that is evidenced by every piece of the S2000 having been changed. 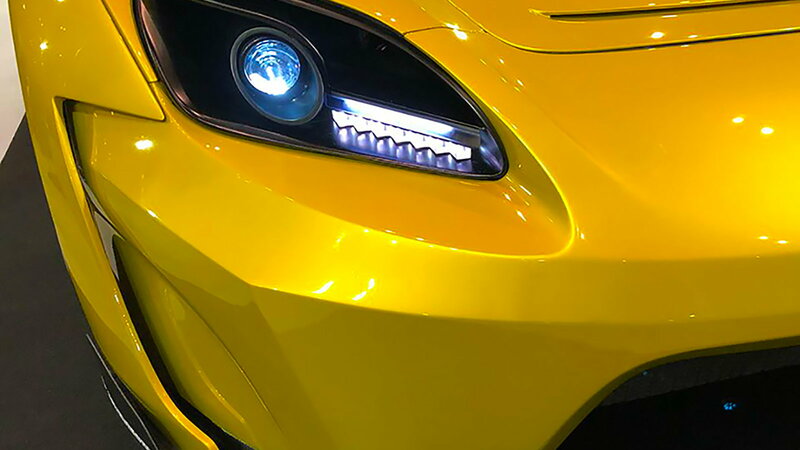 The headlights and taillights are different and have been updated to give the car a newer look that further makes the car look like a new concept car. As you saw before, the rear wheels are covered but upfront we can see the five double-spoke Rays Wheels the car is sitting on. We know that this car isn't everyone's cup of tea, but it's nice to know that there are still companies with plenty of support for the S2000.